PRICES for Australian imported lean grinding meat in the United States have hit a four-year high, when considered in Australian dollar terms. Meat & Livestock Australia’s weekly quote for 90CL Australian frozen grinding meat this week sits at A670.88c/kg (CIF) – the highest level seen since a period between July and October 2015. Prices have risen gradually since late January, when they sat around 600c/kg. This time last year, the market was at 599c/kg. There’s several reasons for the sharp rise in price, but one of the fundamental drivers is simple competitive tension. Where once the US was Australia’s dominant lean frozen grinding beef customer, the explosion in trade to China that’s occurred this year has inevitably pushed US bids higher. As reported yesterday, March exports to China went past 20,000 in a month for the first time in history, as China continues to apply competitive bidding pressure for Australian beef. “The US imported lean market had been creeping up steadily over the past month or so, but it took off last week,” a trusted meat trade contact told Beef Central this morning. One US customer said while the ‘value’ seen in Australian imported 90s was now starting to decline as prices had risen, it was unlikely to drop away, because the US trade needed the product – especially as many grinders relied on a frozen imported component as part of the manufacturing process. “The US continues to soak-up meat, because the supply/demand balance remains steady, despite large domestic kills,” the meat trade source said. Another factor was a lot less meat coming out of New Zealand into the US this year. “It appears that the US significantly under-estimated what the China market was going to do to NZ beef supply,” the trade source said. New Zealand has pushed a lot more beef into China this year, instead of the US. Part of that is due to tariff disparities. NZ holds a 7.5pc advantage in tariff over Australia into China – while at the same time carrying a US2c/lb disadvantage behind Australia going into the US market. “Add the two together, and NZ is probably 25c/lb in front on 90CL beef by going into China, as opposed to Australian. There’s a big spread there,” he said. Another factor that has been suggested for the sharp rise in price for Australian lean beef into the US is the sudden change in Australian processing activity that’s occurred in the past ten days, following the impact of rain (see Tuesday’s weekly kill report). Opinion is divided, but at least some export traders suggest that the latest price movement is a direct reflection of US customers anticipating a sharp drop-off in Australian cow meat supply, now that rain has fallen. The high rates of Australian cow kill seen during December, January, February and the first half of March are now screeching to a halt, as producers cease their drought-forced herd liquidation in many areas. Also, almost all the meat harvested from a lightweight droughted cow goes into slash-pack manufacturing beef cartons, with few primals harvested. “The market on Australian 90’s has gone up US10c/lb in a week,” one trader said. “It had been steady, steady, steady in US$ terms for some weeks, but last week it went, whoosh,” he said. Not all traders share the view about US concern over supply, however. Another said most US manufacturing meat customers did not scrutinise supply circumstances out of Australia (i.e. rain, and its impact on supply) that closely. Imported 90s continue to attract a small premium over US domestic fresh 90s this week. “It’s certainly not the 20-30c/lb premium that we may have seen in the past, but there is a small premium – and it will probably keep growing,” one trader said. He said some US prices had got to the point where some muscle cuts might be diverted into the grind. “If US 90CL imported is suddenly worth 670-680c/kg in Aussie dollar terms, a carton of outside flats or bolar blades that might previously have been going into Korea or China at 640c/kg suddenly comes under a bit of price pressure, because those cuts can just as easily be diverted into the grind,” he said. Current pricing into the US, as encouraging as it is, is still a long way from the rates of 2014 and 2015 when the US was short of meat after two years of drought, paying US300c/lb for 90s, compared with around US230c/lb or less today. “I don’t think the market will get back to US300c/lb, given how much domestic meat the US is producing, but in the end, if America needs lean beef, it will pay whatever it has to, to secure supply,” the trader said. On the Australian domestic front, demand for grinding meat remained high, and perhaps trending higher, compared with muscle cuts, as a means of balancing tight household budgets and economic spending, especially in the lead-up to the federal election. 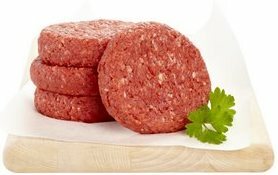 One contact suggested ground beef volume had drifted higher in Coles and Woolworths over the past two years, as a proportion of overall meat sales, because of price. That trend mirrors statistics out of the US, where between 55 and 65pc of all meat is sold as in ground beef form. Well prices were a lot higher than now for cows so must still be pretty profitable. Good to see they have room to pay more.